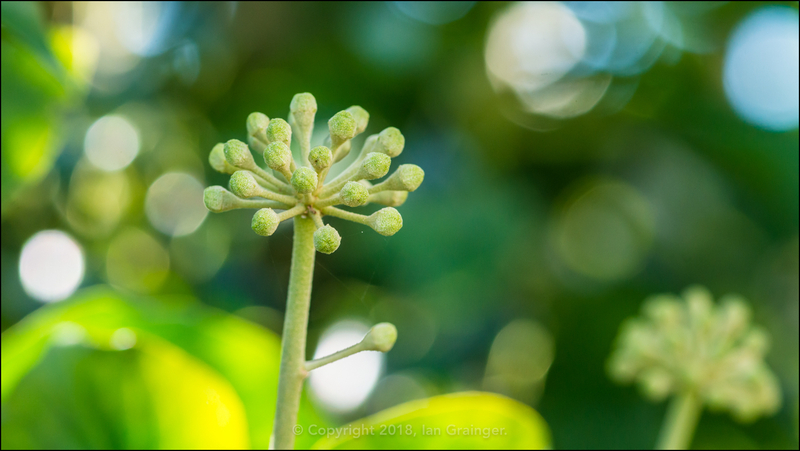 The Common Ivy (Hedra helix) caught my eye, as it was in the early stages of producing flower buds that would eventually turn into berries. 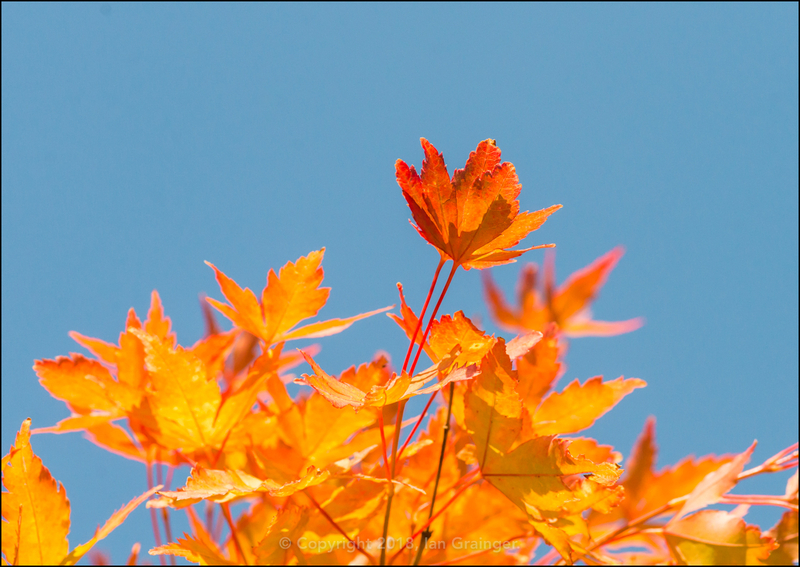 Some of the Acer (Acer palmatum) tree leaves were already displaying their golden brown colours that looked so good against a lovely blue sky. 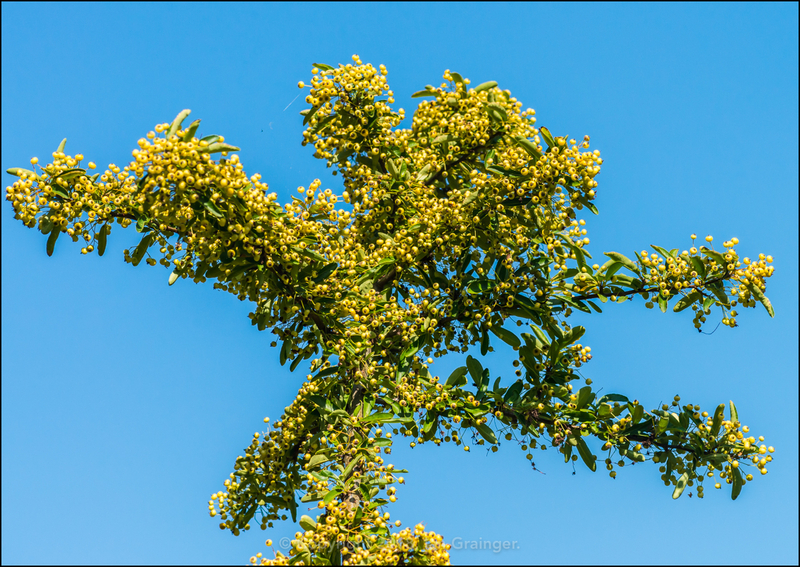 The Firethorn (Pyracantha) bushes were heavily laden with berries that were slowly ripening, ready to provide a Winter feast for the birds. 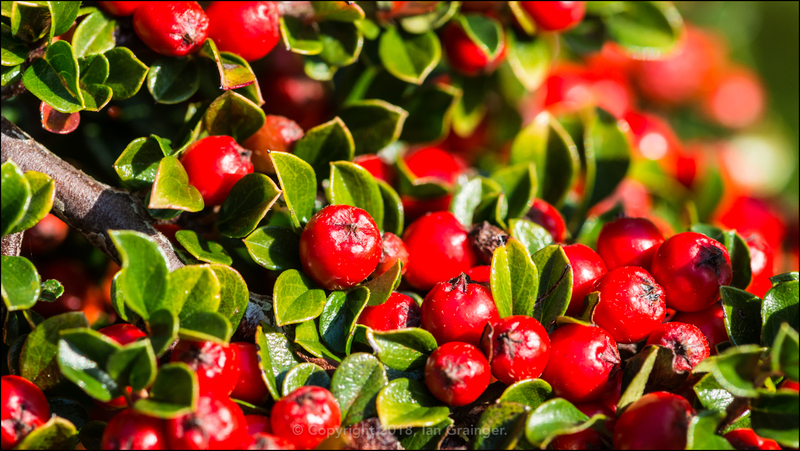 The Cotoneaster bush berries had already ripened, and were adding some much needed colour into the late Summer garden. 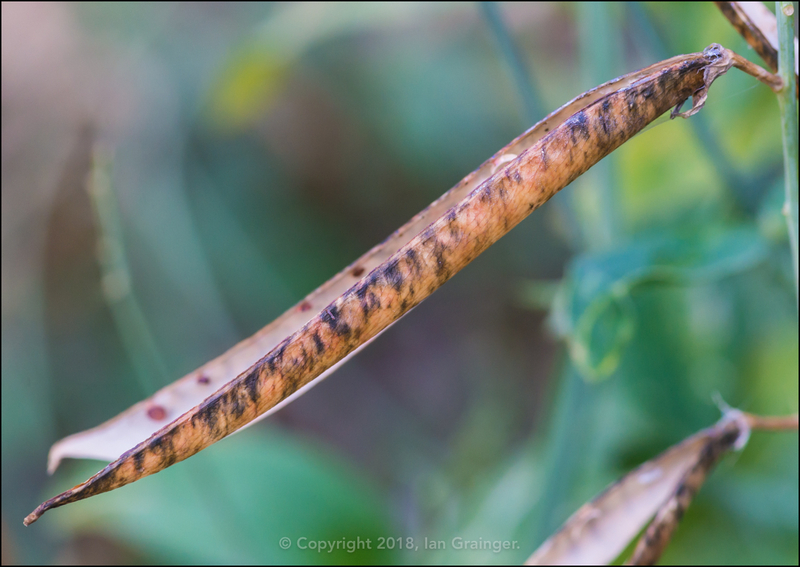 Most the the Sweet Pea (Lathyrus odoratus) seed pods had popped open, the seed being collected to provide next year's blooms. Although Summer was on the way out, it didn't mean Autumn had completely taken over yet. 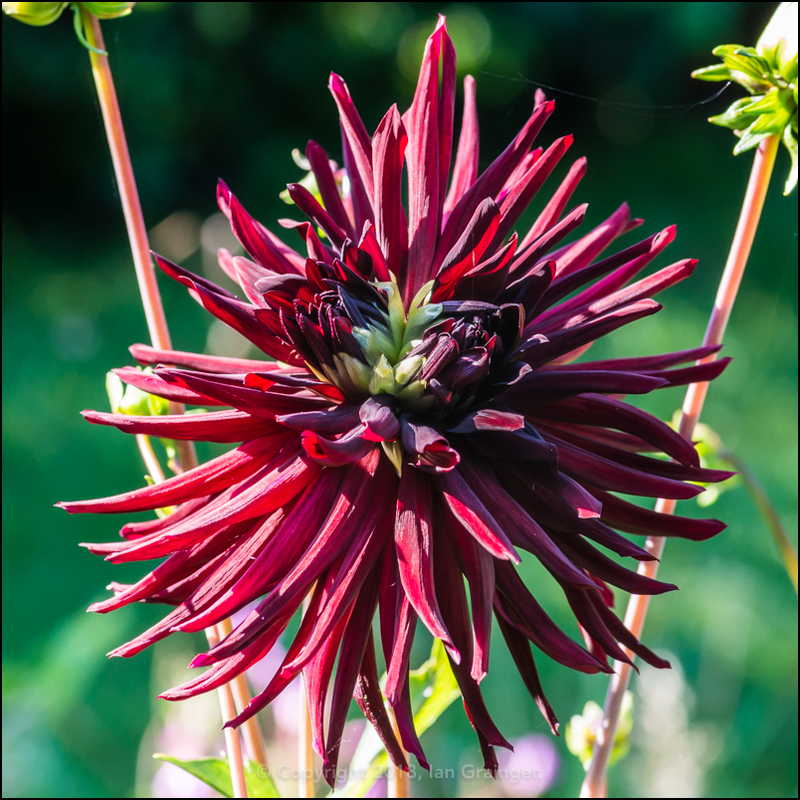 The Dahlia 'Nuit d'Ete' I mentioned last week had finally opened, and had provided a bit of a surprise, with it having two centres! 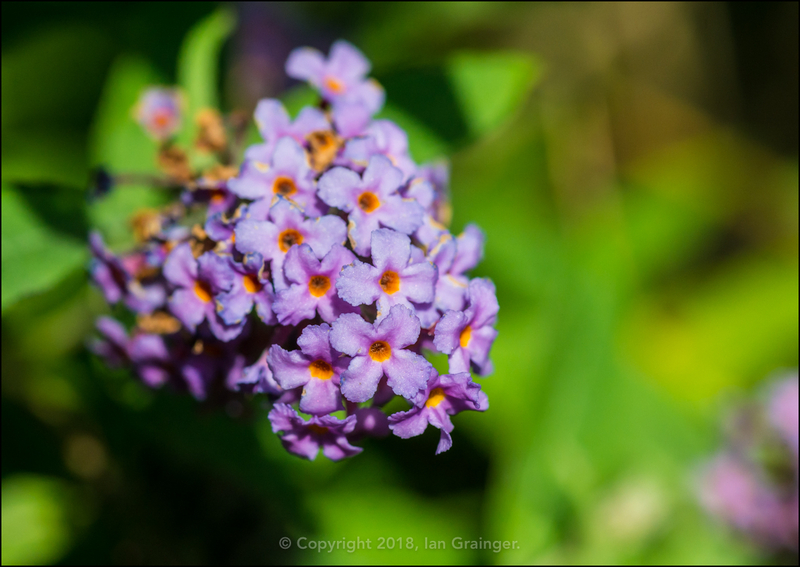 After taking quite some time to re-establish I was quite pleased to see that a transplanted Butterfly Bush (Buddleia) was covered in flowers. The only problem was that there didn't appear to be any visiting Butterflies! 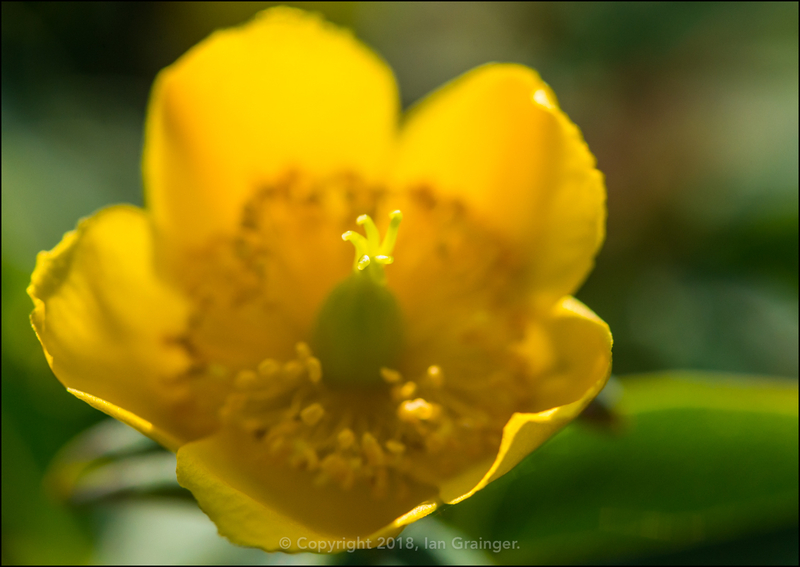 Some of the St John's Wort (Hypericum) bushes were having a second wind, and were literally lighting up in the sunshine. 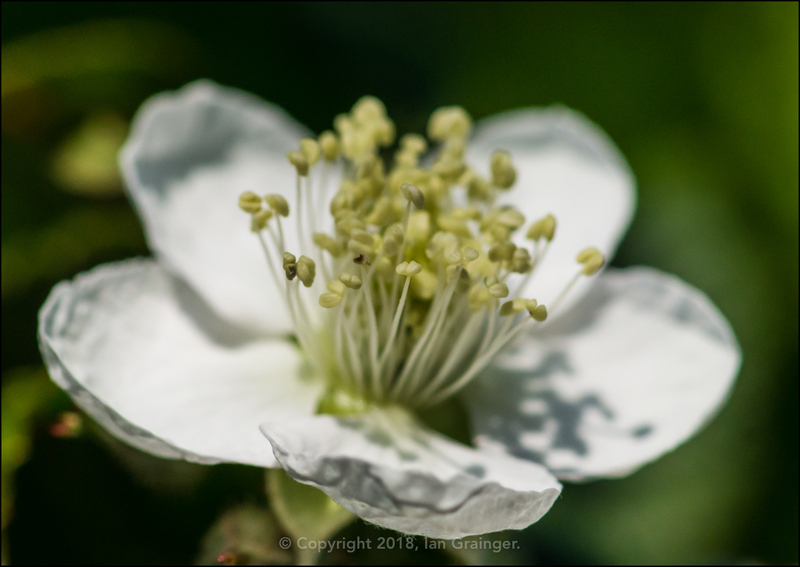 The Bramble (Rubus fruticosus) bushes, of which there were far too many, had a mixed collection of fruit and flowers. If only they didn't grow so quickly, and weren't such a nightmare to remove, they'd probably be considered quite an attractive addition to the garden. 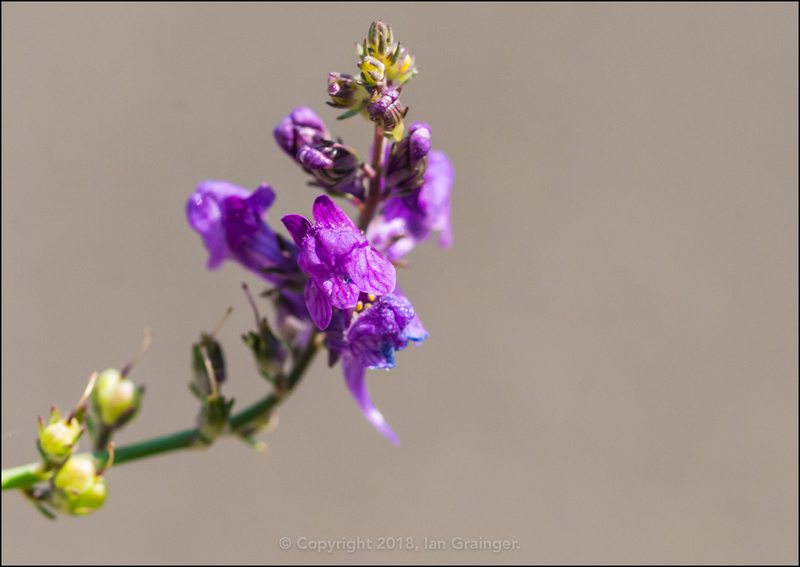 Another weed I think always looks quite pretty is the Purple Toadflax (Linaria purpurea). I always think the flowers look like little Butterfly wings when opened up fully. 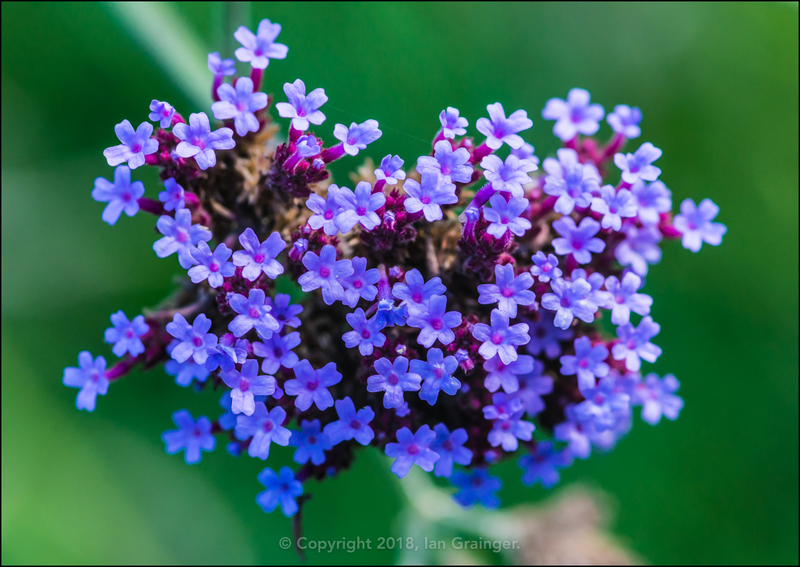 After being blown over by the wind a few weeks ago, then battered by torrential rain more recently, the Verbena (Verbena bonariensis) blooms were still looking rather attractive - if not quite as tall as they had been. 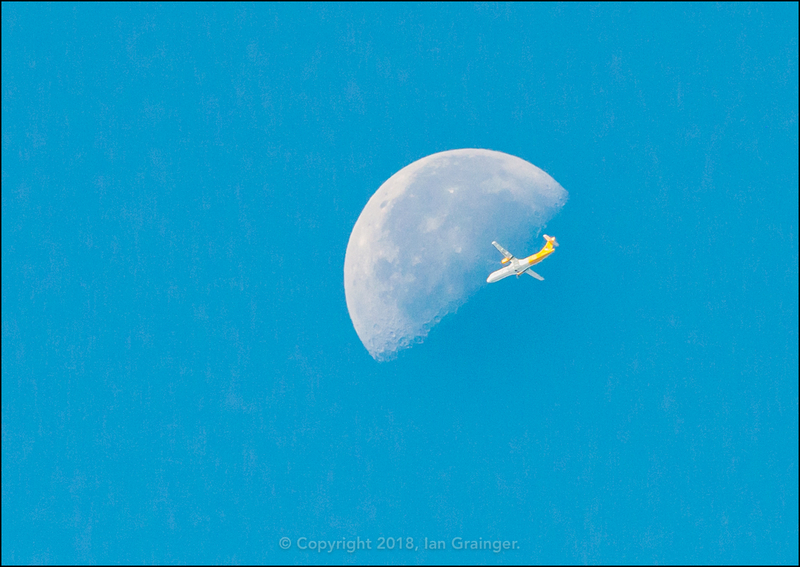 A few weeks ago I took a similar shot to this, and made it my Image of the Week. I thought this one would make a neat companion piece, although I'm not sure if it will be commercially viable, due to the plane displaying recognisable company colours. 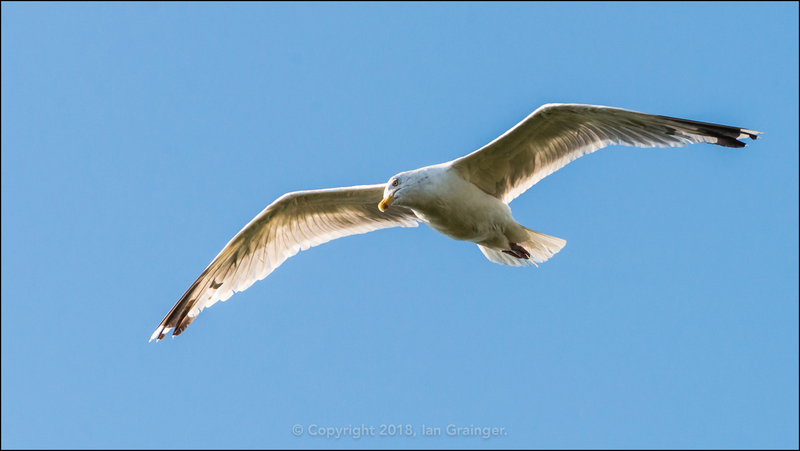 Keeping my camera pointed at the skies, I quite liked how this Herring Gull (Larus argentatus) was keeping a watchful eye on what was going on down below. I don't often see dad's new kitty companion as he tends to only come home for the evening, after I've left. However, I was graced by his presence this weekend as he tucked into some cat biscuits for breakfast. Unlike me, he didn't seem to be phased about sharing his meal with a couple of Wasps (Vespula vulgaris)! Finally, my fishy friends. 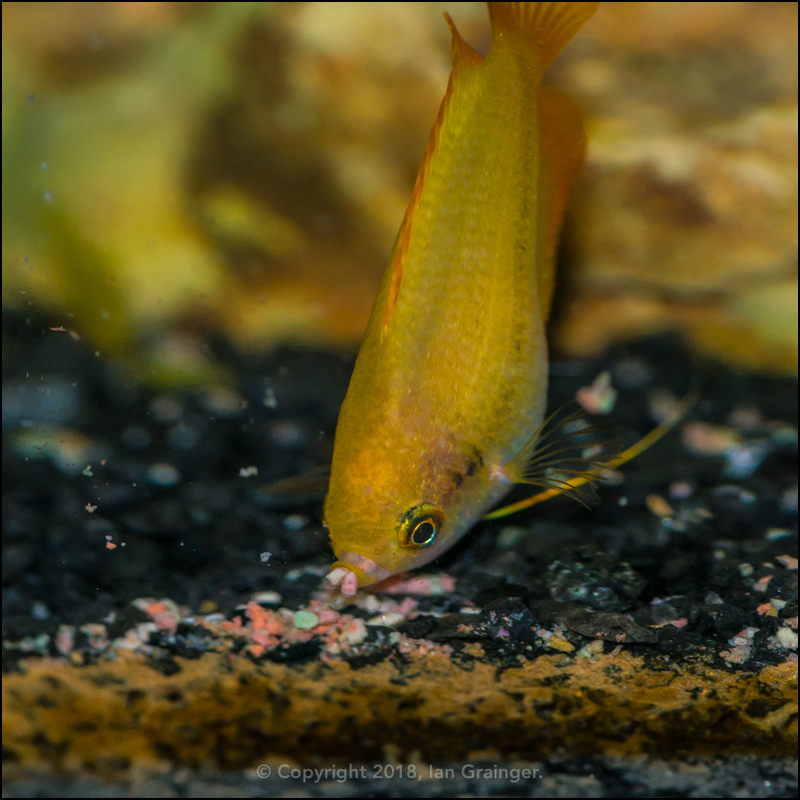 A couple of weeks ago I posted a picture of a bubble nest that one of my Gold Honey Gourami (Colisa chuna) had created. 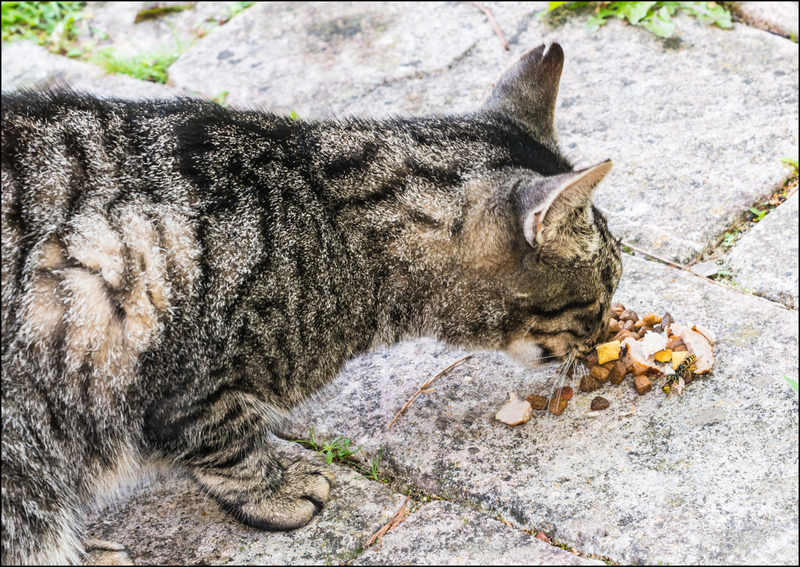 Well this week here we have the culprit, greedily gobbling down some much needed sustenance to keep his energy levels up!